Aladdin is a musical based on the 1992 Disney animated film of the same name with music by Alan Menken and lyrics by Howard Ashman, Tim Rice and Chad Beguelin. Beguelin also wrote the book. 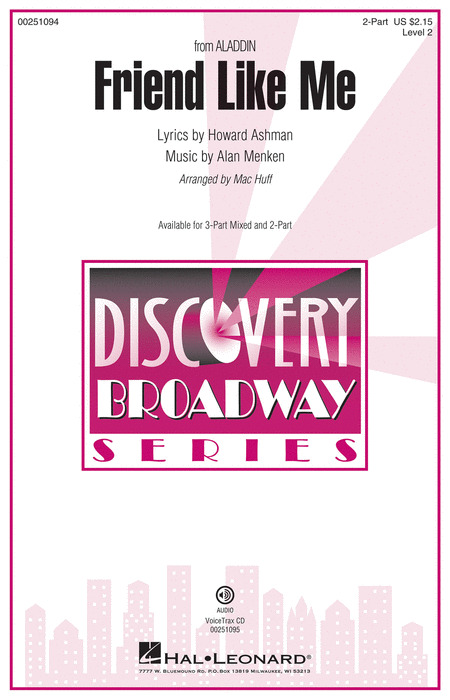 The musical includes three songs written for the film by Ashman but not used there and four new songs written by Menken and Beguelin. The story follows the familiar tale of how a poor young man discovers a genie in a lamp and uses his wishes to marry the princess that he loves and to thwart the Sultan's evil Grand Vizier. Aladdin premiered at the 5th Avenue Theatre in Seattle in 2011. After several regional and international productions in 2012, the musical was given a Toronto tryout in 2013. It opened on Broadway at the New Amsterdam Theatre on March 20, 2014 to mostly warm reviews and was nominated for five Tony Awards. 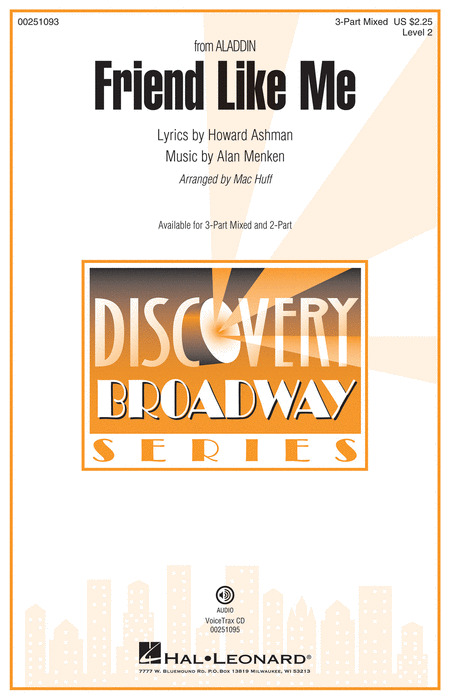 Matching folio to Disney's animated film featuring songs from Alan Menken, Howard Ashman and Tim Rice. 7 songs in all, including: One Jump Ahead - Prince Ali - Friend Like Me - A Whole New World - and more. Complete with full-color art from the movie. From the animated Disney film Aladdin and later as the act 1 closer for the Broadway play. This song sung by the Genie brings down the house wherever and whenever it is sung. Utilizing a 1930's swing style and catchy lyrics this is a sure fire closer.